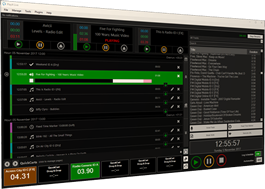 Radio Broadcasting Software that can be used to create your Internet Radio Station and are compatible with Shoutcast and Icecast systems. Our number one choice. 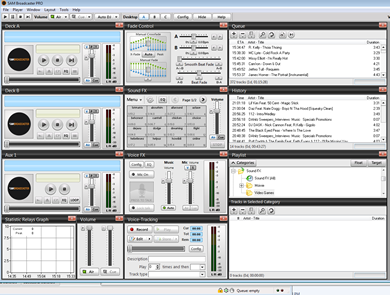 If you're new to radio broadcasting on the internet we suggest using mixxx software because it's free it's very easy to install, set up and connect to your server and start streaming live in minutes. 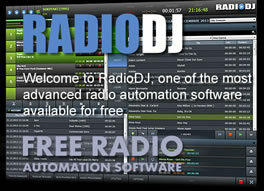 Advanced radio automation software aimed towards professional internet radio station broadcasters. 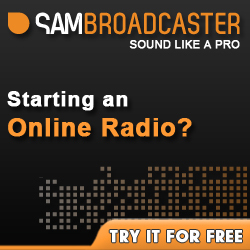 SAM Cast allows you to connect to your SHOUTcast server and stream from your microphone, soundcard or line in. Demo: Yes, lasts for 6 hours, terminates then allows for a further 6 hours. 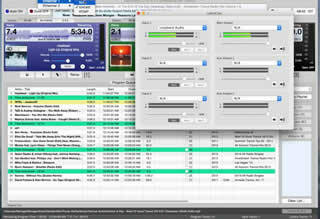 StationPlaylist Studio features general automation playback and live assistance tools for DJs. 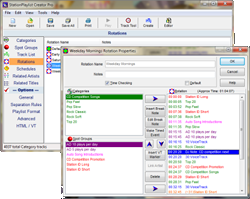 StationPlaylist Creator is music and spot scheduling software. 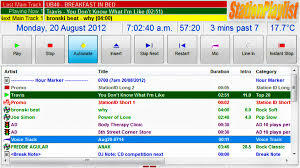 It is used to design your station format using rotations of music categories and spot groups (jingles, ads, etc). Demo: Yes, noise is overlaid on all broadcasts longer than 60 minutes. Streams a mixed audio from your microphone and optionally another media player like iTunes. Is ZaraStudio designed to broadcast an Internet station? ZaraStudio is not a program designed for that purpose, but it is a program that automates audio playback. 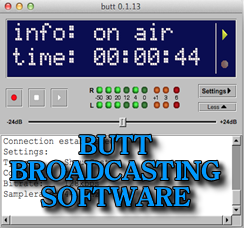 Anyway, it can be used along with other programs to broadcast an Internet station. Some of those programs are OddCast or WinAmp with the Shoutcast plugin. 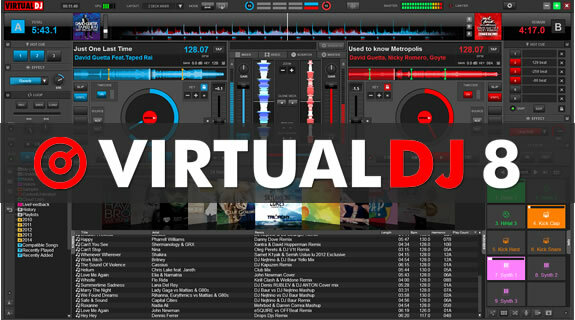 Price: You can now download VirtualDJ Home for FREE. 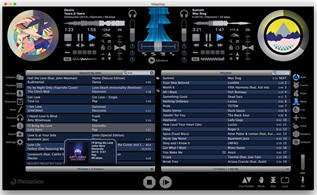 VirtualDJ Home is free for non-commercial use. For commercial use, you will need to buy a commercial license. 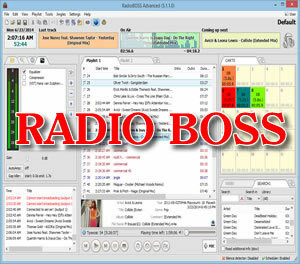 Q: Shoutcast/Icecast streaming is available in RadioDJ? A: Not directly. 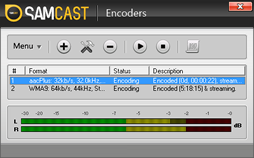 However, you can use third-party encoder plugins to stream to your Shoutcast/Icecast server, such as ALTACAST. Q: Shoutcast/Icecast streaming is available in PlayIt Live? A: Not directly. Stream to SHOUTcast and Icecast servers via Internet Broadcast plugin. Q: Shoutcast/Icecast streaming is available in DirEttore? A: Not directly. However, you can use third-party encoder plugins to stream to your Shoutcast/Icecast server, such as AltaCast Standalone. Winamp is developed by Nullsoft, the same people who develop SHOUTcast itself. 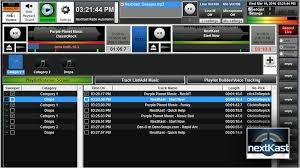 We recommend Winamp if you are new to internet net radio streaming.